Informing your child about their first dental visit is very helpful. At your child’s first visit, we will review the medical/dental health history form with you. Your child will meet the dentist or hygienist. We encourage parents to accompany their child during their visit. This gives you an opportunity to see us working with your child and allows us to discuss dental findings and treatment needs directly with you. 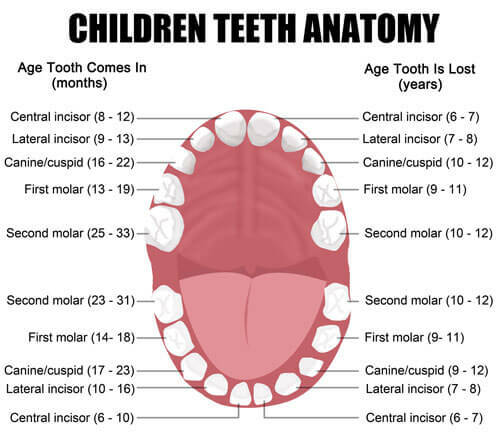 A thorough examination of the teeth and gums are performed as well as an evaluation of your child’s oral/facial development. Radiographs (x-rays) are taken only if necessary. The teeth will be cleaned and a fluoride treatment will be provided. If treatment is needed, a treatment plan will then be discussed with the parents. An appointment will be provided. We try to keep our first visit as simple and fun as possible to acclimate your child to dental treatment. We look forward to meeting you and your child for your first appointment! The purpose of this content is to inform parents of the children treated in our office about techniques that we may utilize to help your child safely complete dental treatment. Tell Show Do – is a verbal technique used to tell the patient about the procedure in an age appropriate manner. Voice Control – this technique is often misunderstood by parents. It is used by changing voice tone and speaking in a firm and controlled manner. Often this helps the child cooperate during treatment. It is not punitive. It is used to get the patient’s attention and reverse poor cooperation and behavior, the same way a parent might use at home. Mouth props/Rubber dams – a mouth prop or “tooth pillow,” as we call it, is used to help support your child in keeping his/her mouth open during an operative procedure. This allows him/her to relax and not worry about consciously keeping his/her mouth open for the procedure. A rubber dam is a “raincoat” placed on the area of work to be worked on in order to isolate the teeth and prevents any debris from being swallowed or going to the back of the throat. Immobilization by the doctor – the doctor controls the child from movement by gently holding down the child’s hands or upper body, while stabilizing the child’s head between the dentist’s arm body. Nitrous Oxide/Laughing Gas – is used to help the patient reduce anxiety. It is also sometimes helpful with patients who gag. It is an effective aid in behavior management, but does not always work on every patient or at every visit. It has been used for over 100 years and there are no known allergies to laughing gas. Adverse effects are rare but may include, and are not limited to: nausea, vomiting, post operative stomachache and head aches. It is always used in a safe amount and is always used in conjunction with oxygen. After the procedure, your child will receive 100% oxygen to help remove any excess laughing gas from your child’s system. Laughing gas does not stay in your system longer then a few minutes after the procedure is completed. Laughing Gas is not used to put a child “to sleep,” but is used only to help alleviate anxiety, increase cooperation and facilitate safe dental treatment of your child. General Anesthesia – may be required for some patients due to medical and/or behavioral reasons. If the dentist deems the safety of the child to be at risk, or that he/she can not safely and adequately treat the child, then the dentist may defer treatment and refer for treatment under general anesthesia. The dentist may consider not treating the patient in the future until the treatment is completed safely under anesthesia first. Passive restraint- Also known as a papoose – is a rarely used, but sometimes needed, technique that is only required when a child is so uncooperative that he/ she may hurt themselves or those around them. It is used on an extremely restricted basis, often for emergencies or complicated treatment. It is used in medicine and dentistry only as a last resort. It requires placing the child in a wrap to restrict their movements. It is safe, but it can appear frightening to patients and parents as well. It will only be used with your parental consent, and under specific circumstances, if ever needed. * Once a parent consents to treatment, a parent can always decide to discontinue treatment. However, the dentist will only stop mid-procedure once he/she has achieved a clinically acceptable point to discontinue. Should this be necessary, the dentist may only place a temporary restoration which will require additional future treatment.